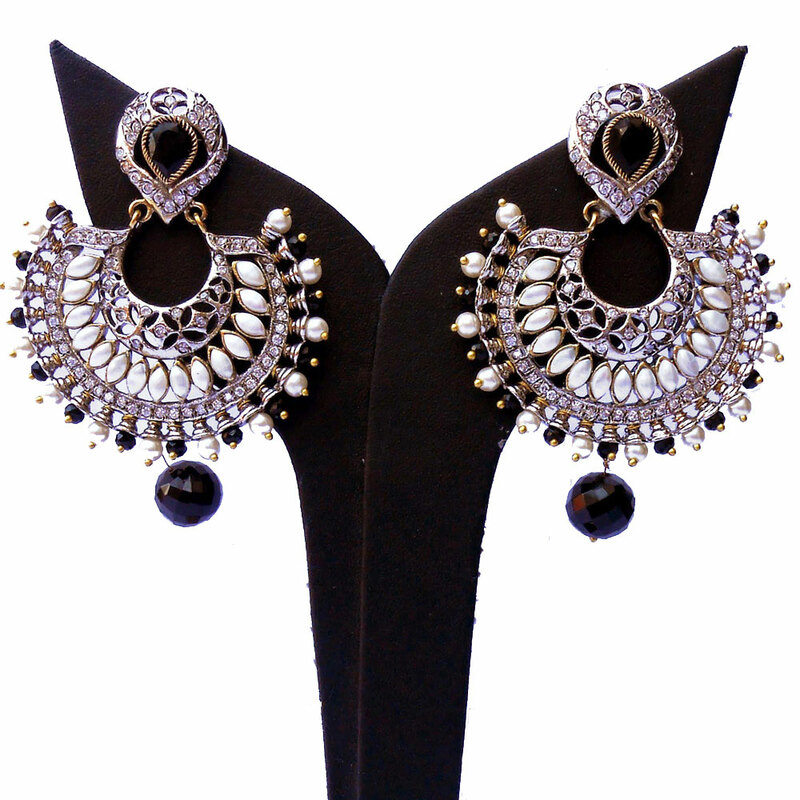 This pair of black & white designer earrings is capable of adding elegance to any attire because of sheer visual splendor it exudes. The intricate Read More..pattern on the brass body of the earrings is awe-inspiring, which works in tandem with the pearls interspersing them to create a truly majestic effect. Moreover, the huge black gem hanging from the main body gives this piece a dramatic twist. Finally, the alternate placing of the black gem along with the pearls on the lower periphery makes this pair of earrings worth of a royal outfit. Show Less..